"Mindfulness meditation is a type of meditation that involves focussing your mind on the present". Several studies have shown that mindfulness meditation may improve one's mood, decrease stress and boost immune function. This is a potentially life changing way to alter feelings in positive ways. When we focus our minds on the present, we are aware of our thoughts, actions, and feelings without attaching judgement to them. This helps us embrace the present moment, instead of jumping to the past or future. For instance, just being aware of the sensations while you're walking, like the quality of the pavement under your feet and how your body feels. Notice how your mind wanders, and without judgement, comes back to the awareness of walking. 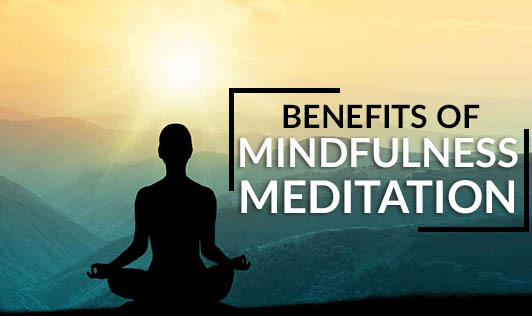 Now that you know the benefits of mindfulness meditation, would you give it a try?